It is rare I feel compelled to write a review, however I am that impressed with the level of both professionalism and workmanship that I have received that I simply must take this opportunity thank the team at CMBB. Both Andy and Tony are straight talking, no-nonsense people who are honest and refreshingly candid. It is so rare in this day and age to find a business run on the principle that if the customer is happy, then the business is happy. CMBB are fairly priced too; in fact the work they put into my car was literally unbelievable for the costs, and when I ordered after-market aero products that didn’t quite fit, Andy and Tony didn’t force the square peg into a round hole and bodge it, they consulted with me like true and proper professionals and helped me source the correct fitments: No cowboys here, just properly good old fashioned decent folk. The best aspect of CMBB is that they take pride in their work and rightfully so, it is without hyperbole, frankly brilliant. Every car is looked after from Aston Martins to Fiat Puntos, there is none of the ‘Prestige Car, so Prestige Price’ ethic that you find with some firms; it is fair, of good quality and more importantly you can go home and have peace of mind that your car is being looked after no matter the make or model. Andy, Tony, Dave & Wayne thank you for a truly top-class job and thank you for bringing the car back to life! 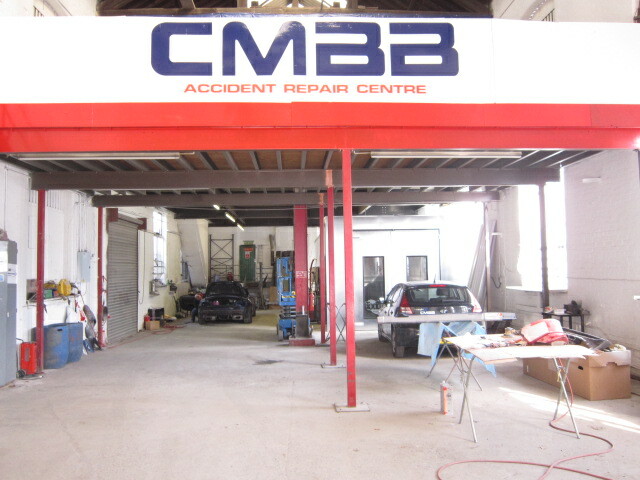 I have trusted CMBB with my car bodywork repairs for over 6 years now, and have always received a first class service. Tony and Andy have always been honest and straight talking when it comes to what work is required, and I am always pleasantly surprised at the cost of the work. For the standard of workmanship and service provided CMBB really are great value! There are not many people I would trust with my 1929 FORD MODEL A SEDAN. I was right to trust the people at this company. The service I received from CMBB was astounding, the finish on my car was second to none. I will be recommending this company to all the people I speak to in the classic car scene. Thanks again to the boys at CMBB. Excellent assistance from the guys at CMBB this afternoon. We had a Peugeot that needed some work doing on it and the two guys who we saw could not have been more knowledgeable or helpful. Fantastic service from beginning to end! The car now looks better than it did when I bought it. Have already recommended them to friends and family. Thanks so much to Tony and the team! Hi Cannot recommend enough! 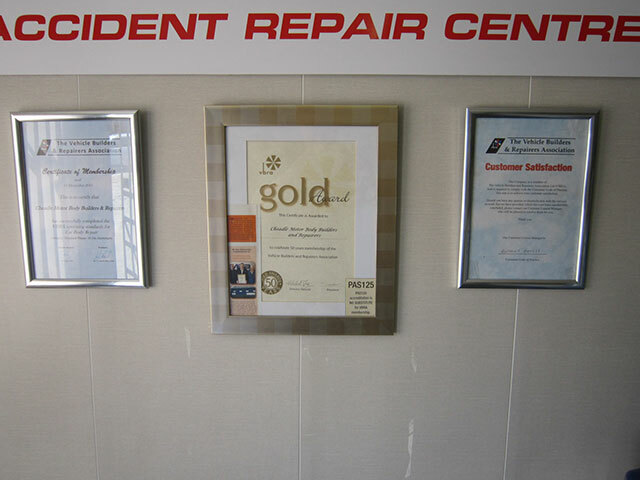 Friendly positive approach to sorting out repairs without fuss and in an efficient way. Happy to discuss options and suggest best way forward. I had a new wing fitted to my 206 at CMBB in April 2018. From stepping through the door, these guys give fantastic service. They are old school and know how to treat customers with respect and courtesy. I was offered a price with branded parts and a price with non-branded. They gave me the choice. I was given a courtesy car for the duration of my repairs and they promptly telephoned me to collect my car. When I went to collect my car, the new wing looked absolutely AMAZING. They had matched the colour precisely to the car and believe me, that was one fantastic job! I would not use anybody else other than Cheadle Motor Bodies for paint work or repairs to my vehicle. They are top dollar, the absolute best and I would highly recommend them. The level of service is outstanding. They are professional, friendly and most importantly they charge a very fair price for an absolutely brilliant job. I cannot speak highly enough of this company, I love them to bits. Thank you Tony and staff, my car looked as good as new and I drove away with a smile like a Cheshire Cat! !